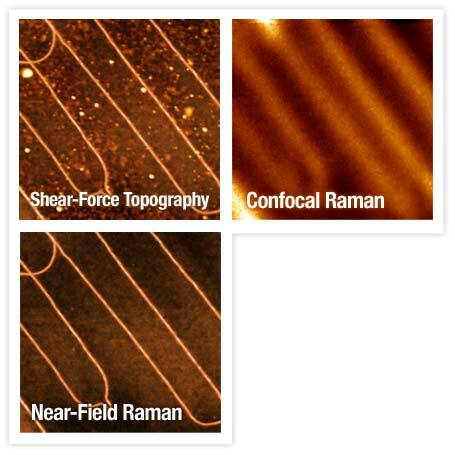 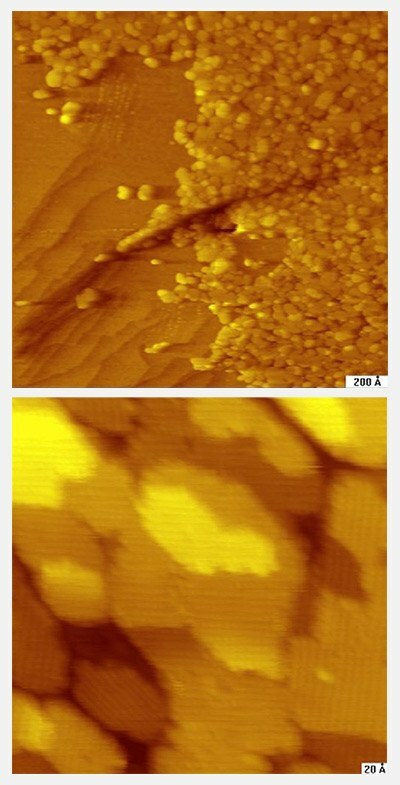 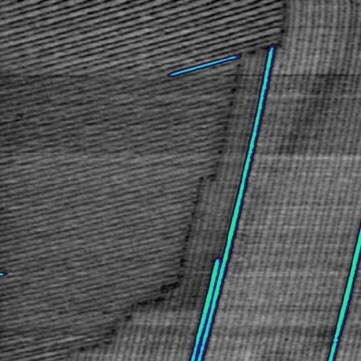 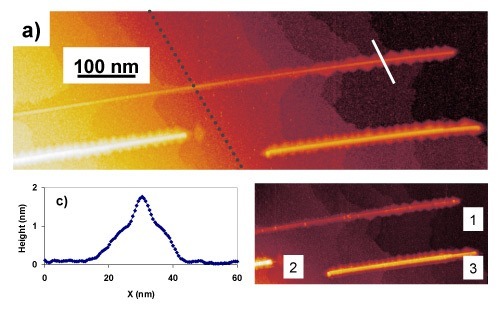 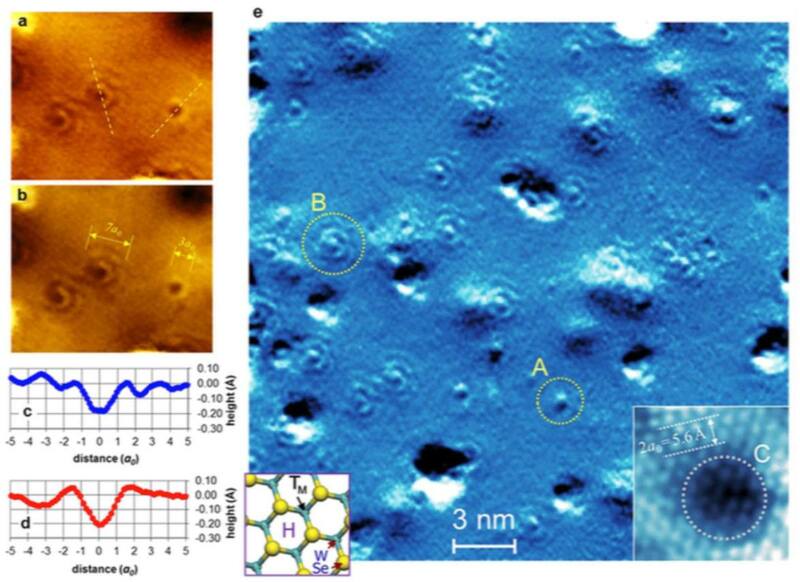 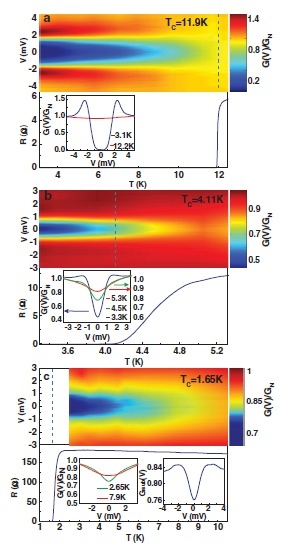 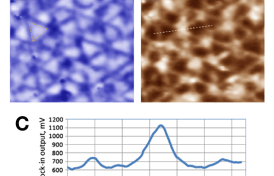 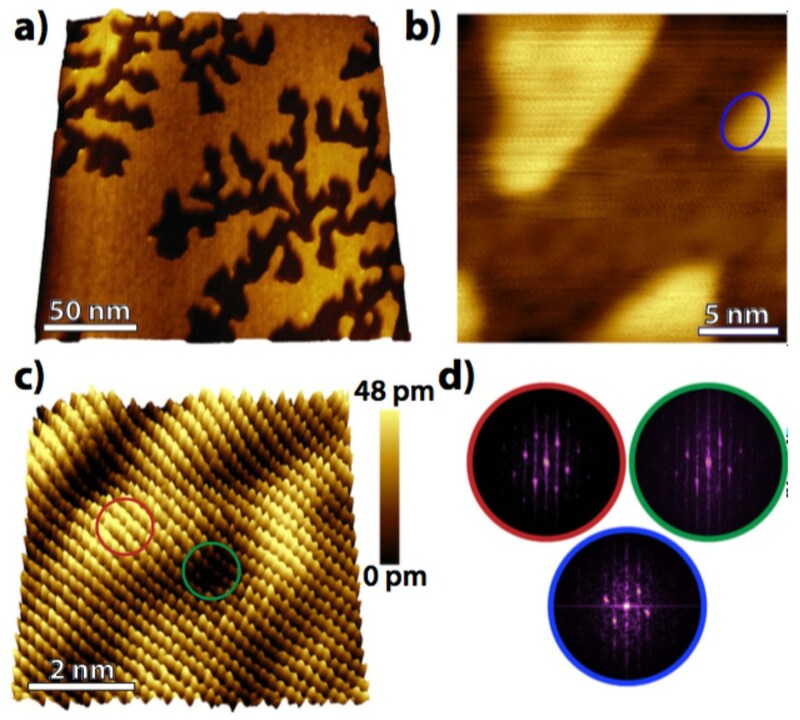 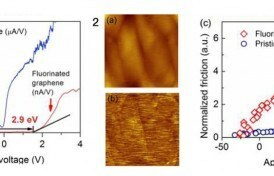 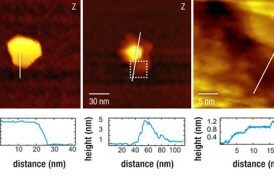 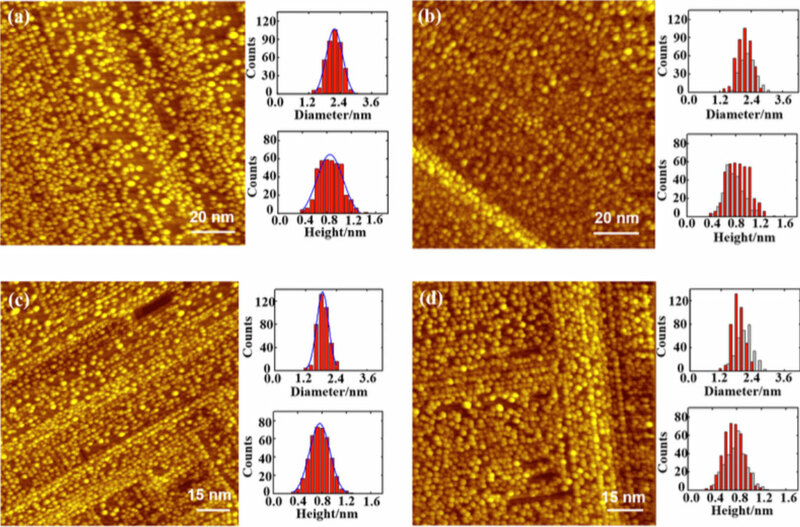 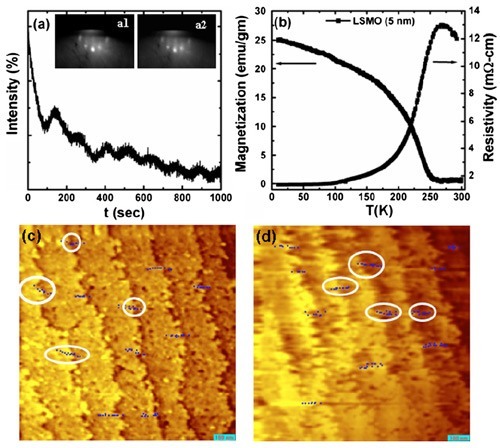 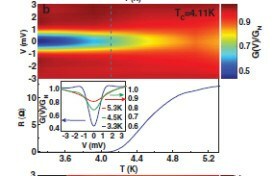 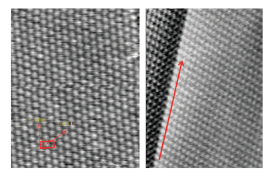 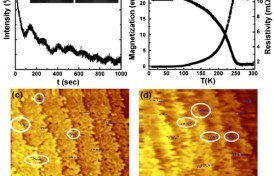 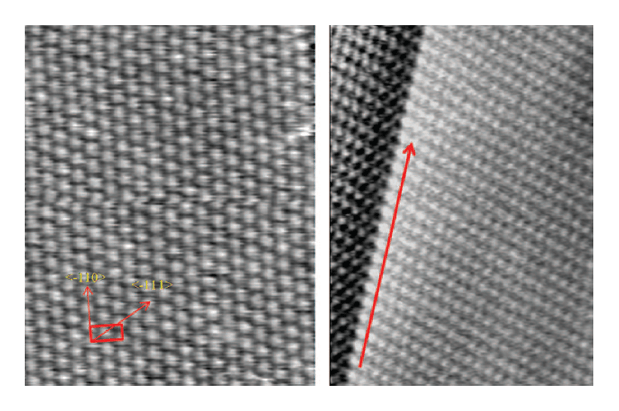 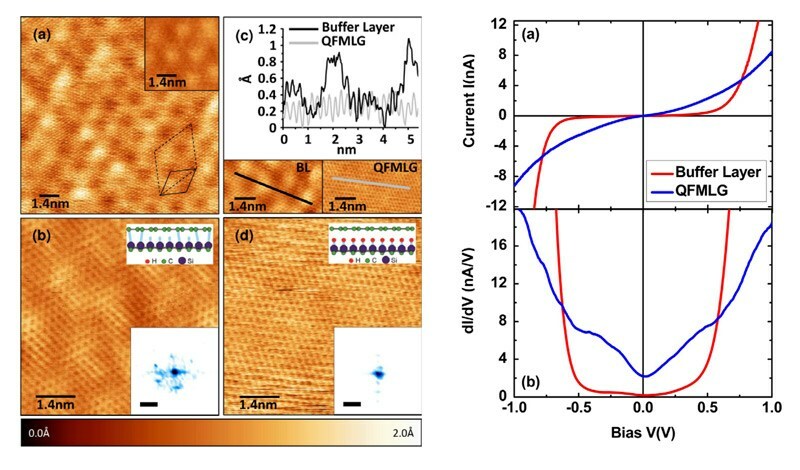 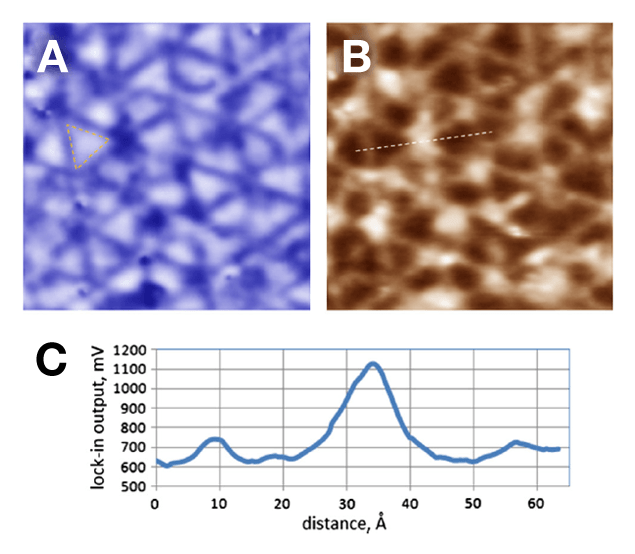 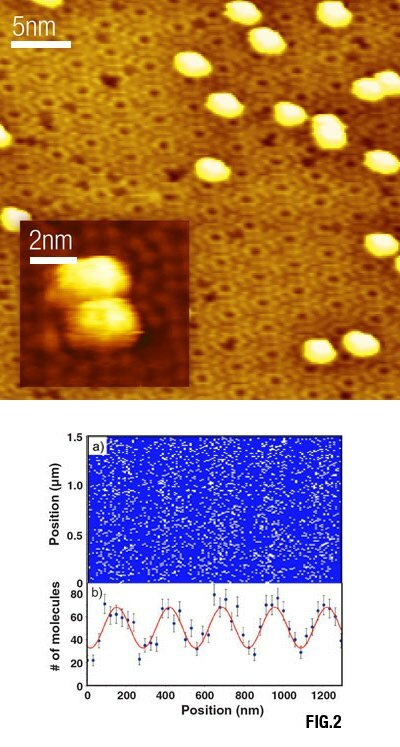 Initial test of Nazin Group RHK PanScan-STM with Closed Cycle Cryostat provides atomic resolution with HOPG at 14 K.
RHK is proud to highlight the first atomic resolution image acquired on our PanScan SPM connected to a running Closed-Cycle Helium Cryostat. 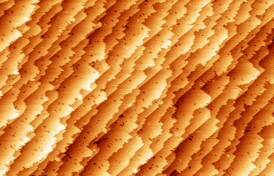 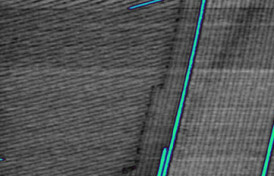 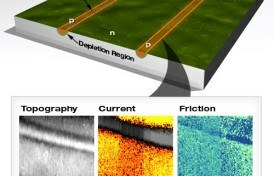 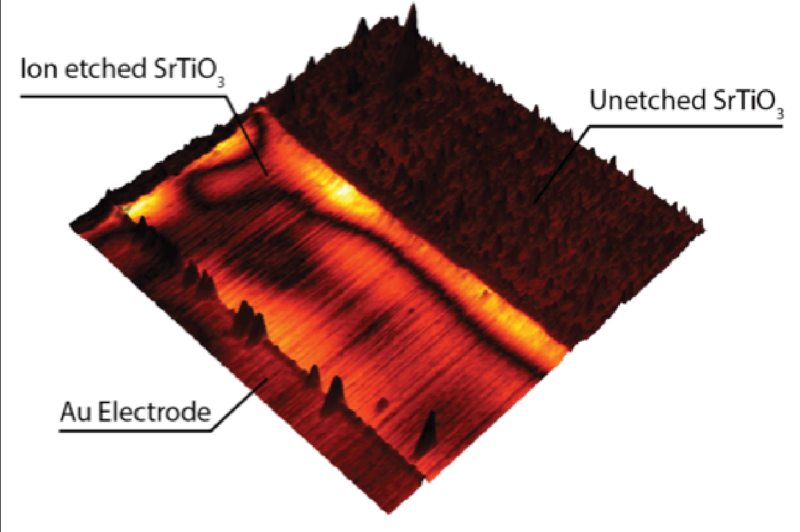 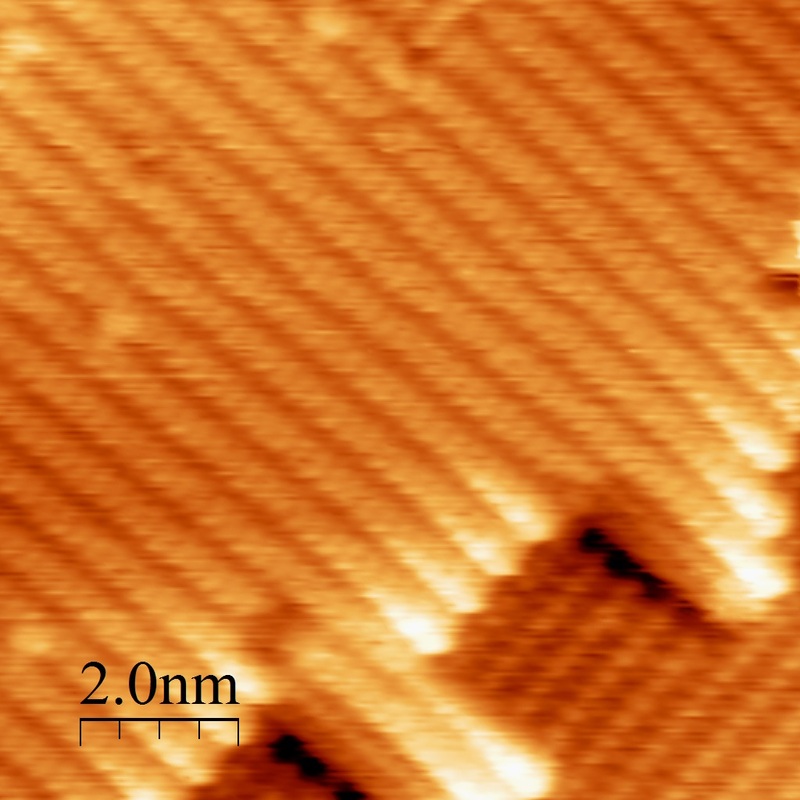 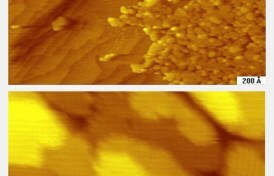 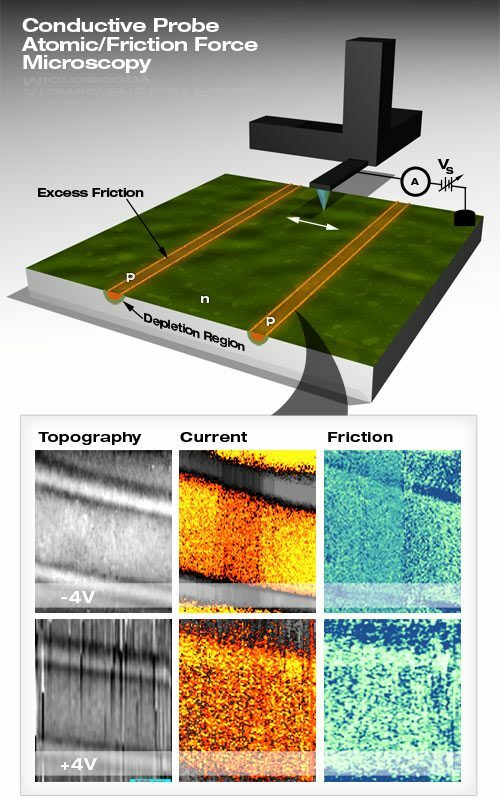 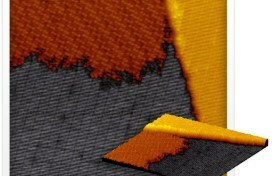 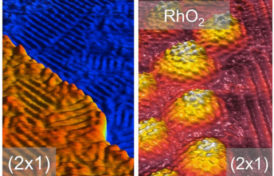 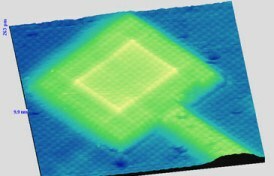 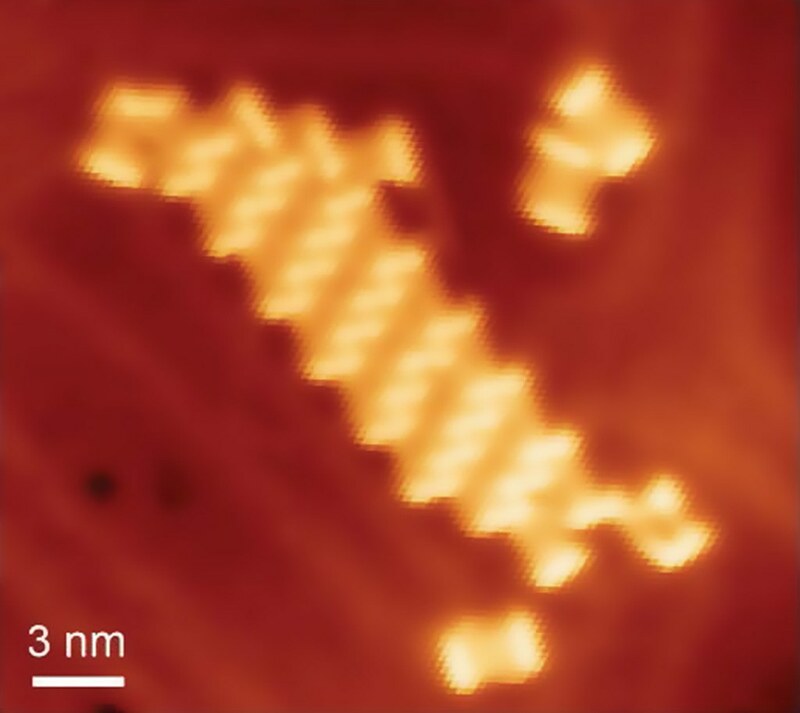 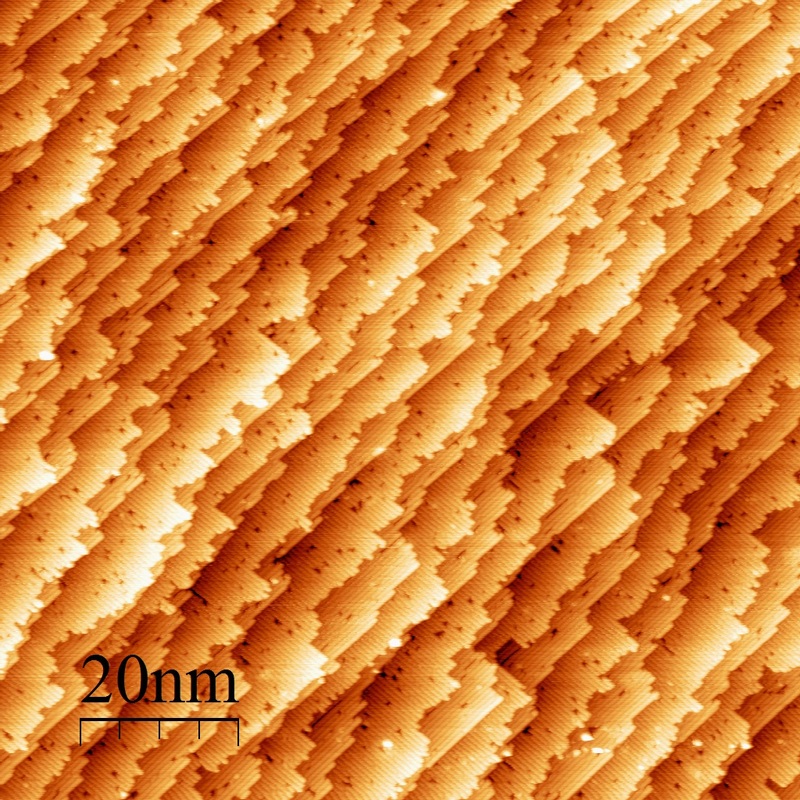 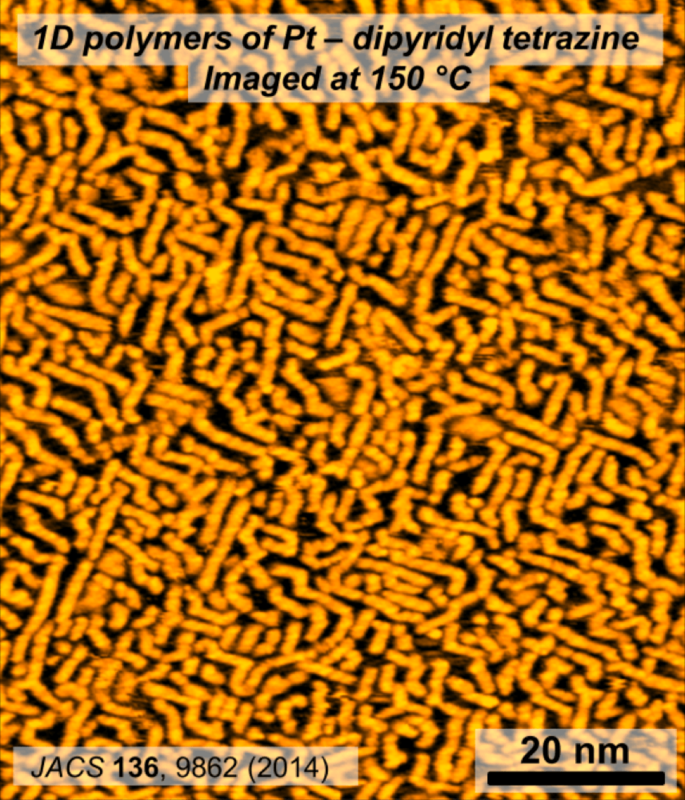 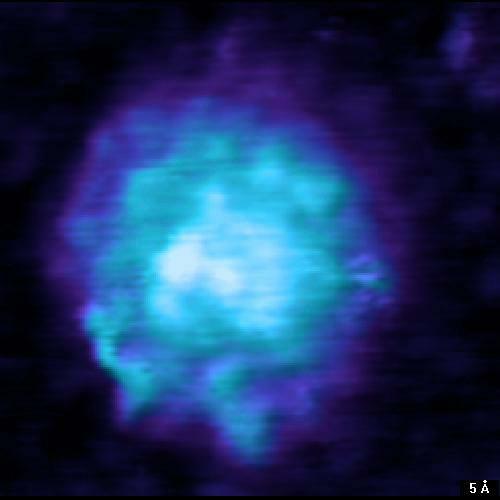 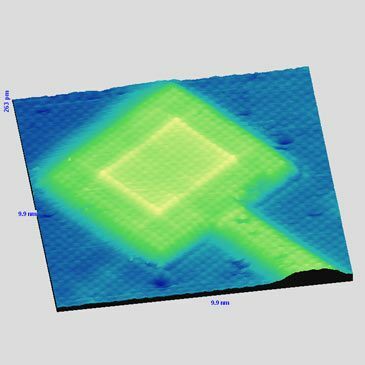 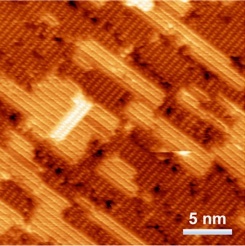 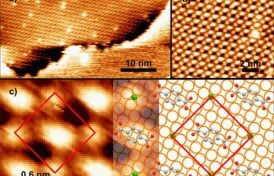 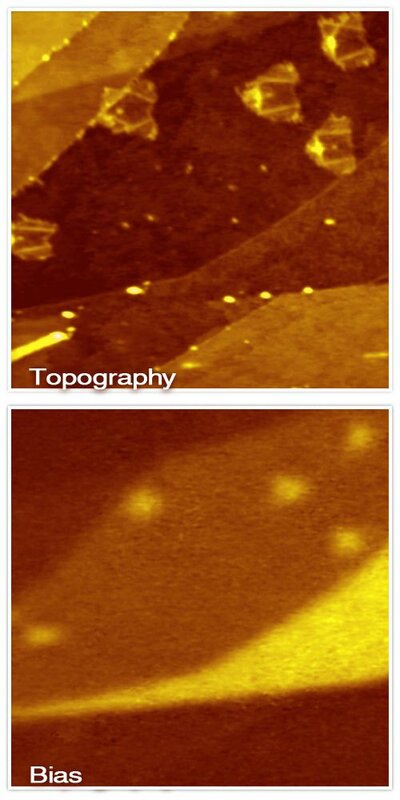 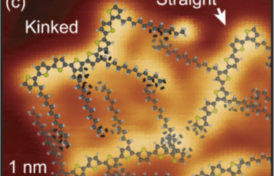 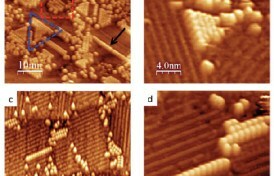 This unique STM was developed in collaboration with Dr. George Nazin in the Chemistry Department at the University of Oregon, whose group acquired this image. 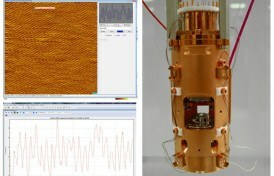 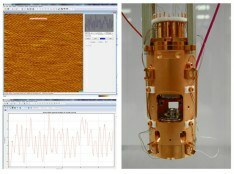 In addition to being an extremely stable SPM, this microscope includes an integrated parabolic mirror with three-axis manipulator to allow highly efficient light collection from the tunnel junction. 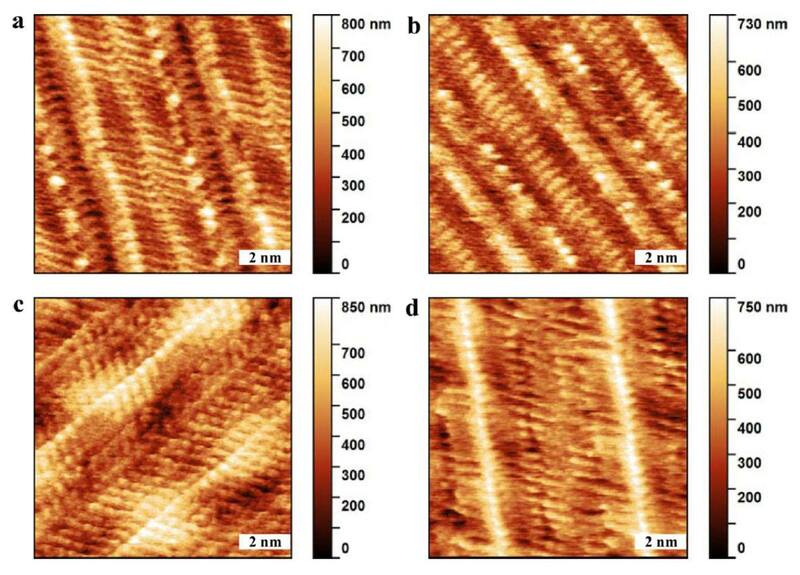 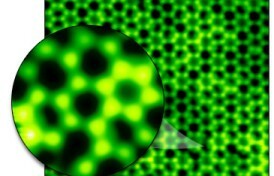 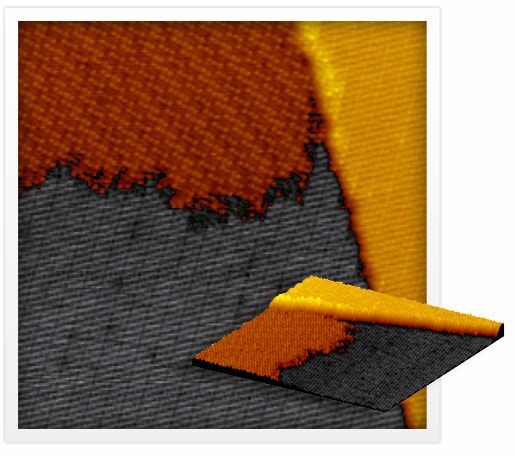 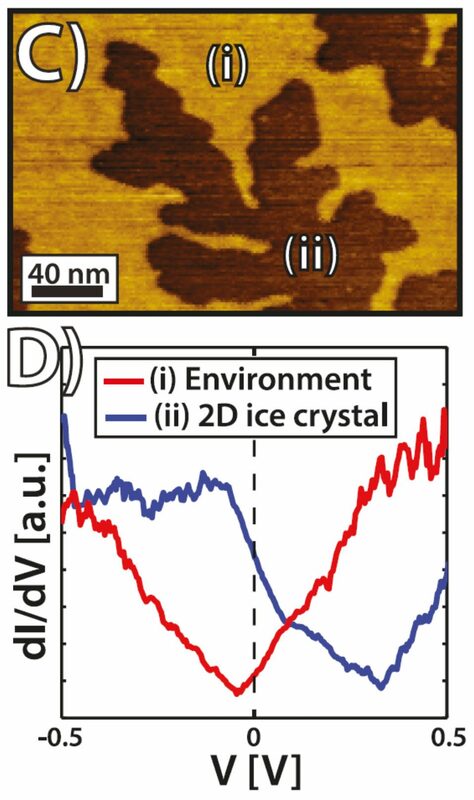 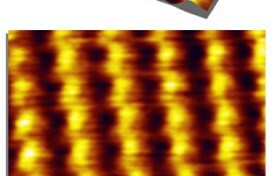 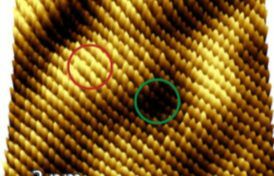 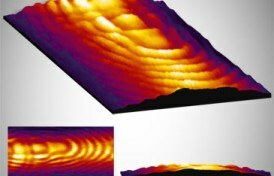 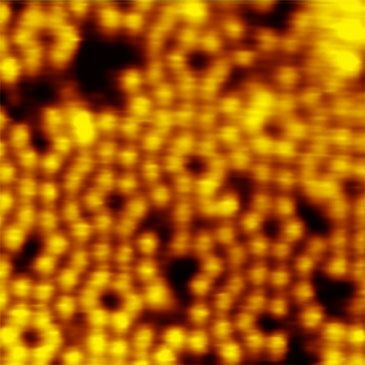 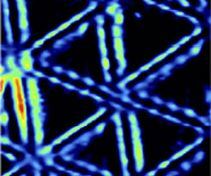 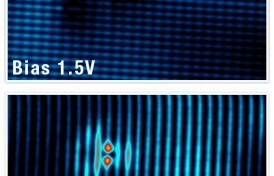 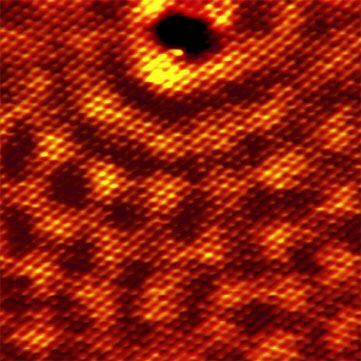 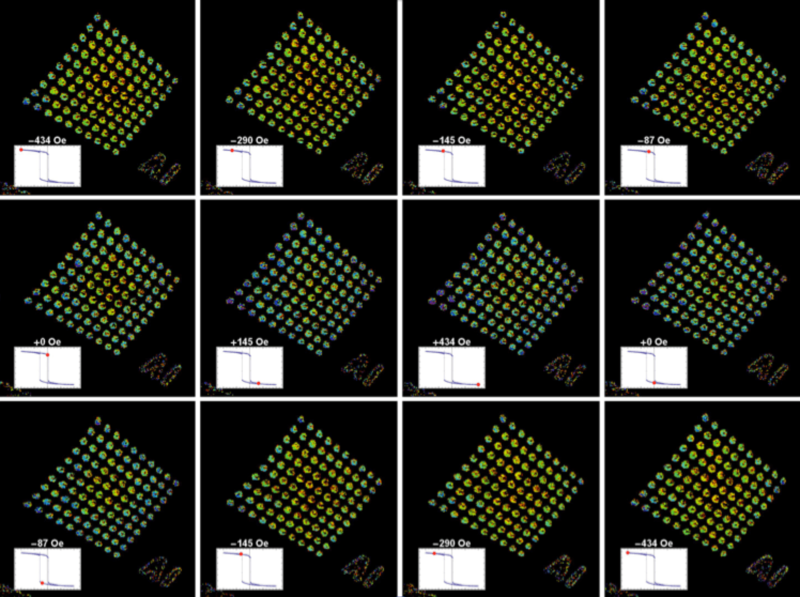 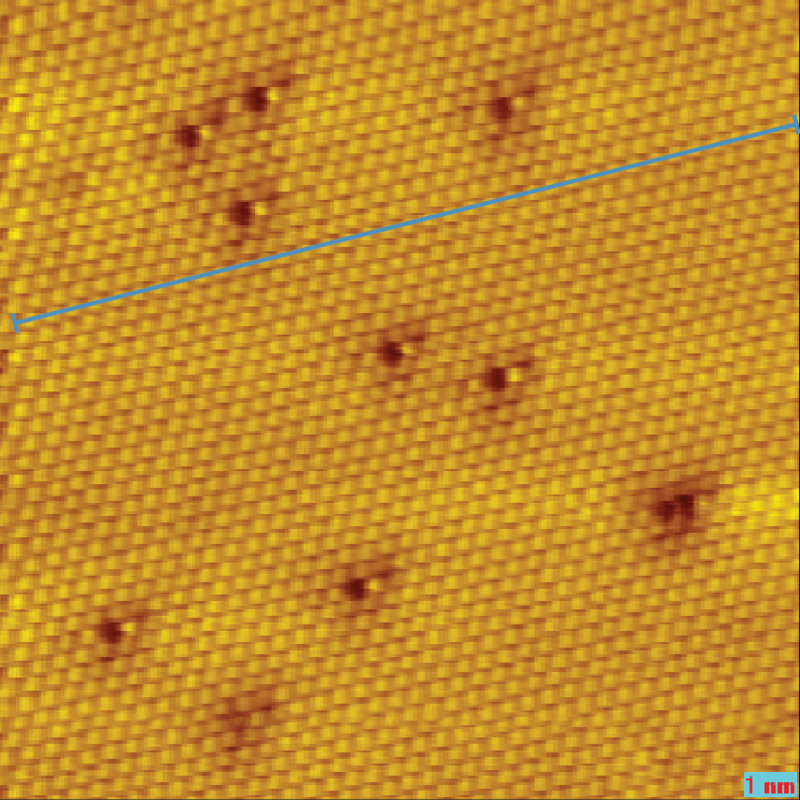 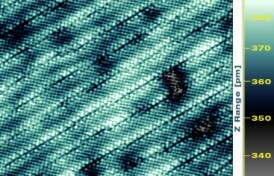 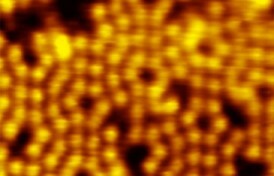 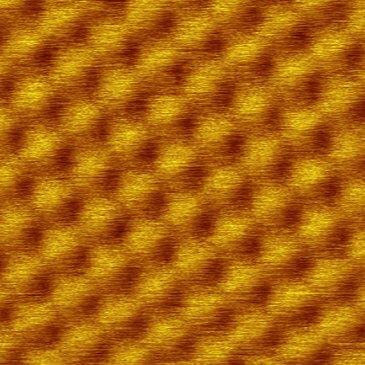 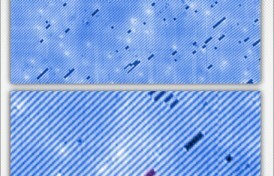 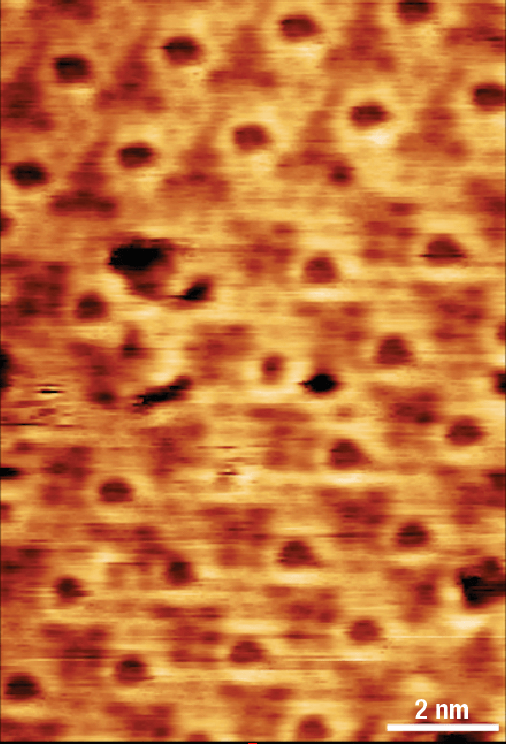 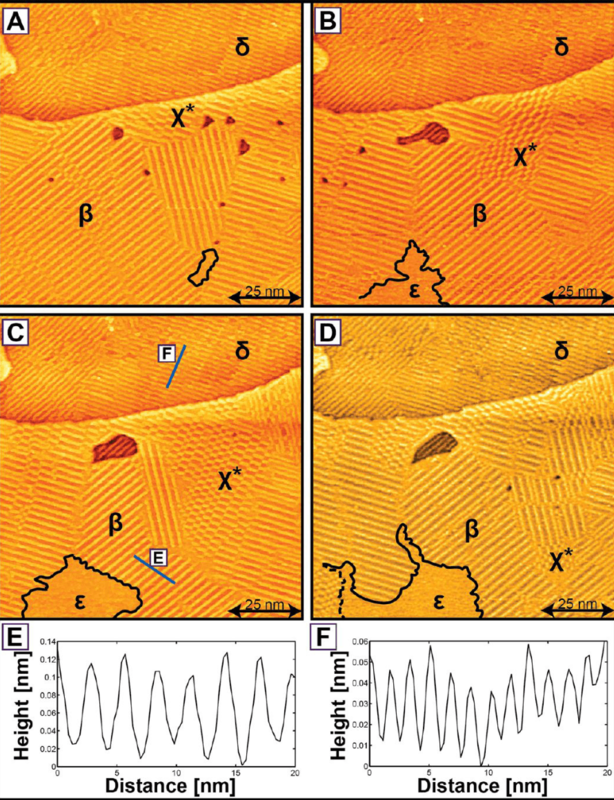 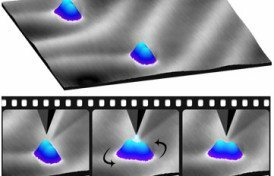 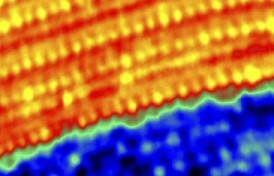 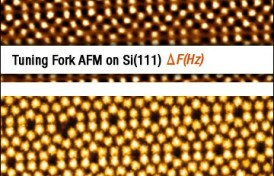 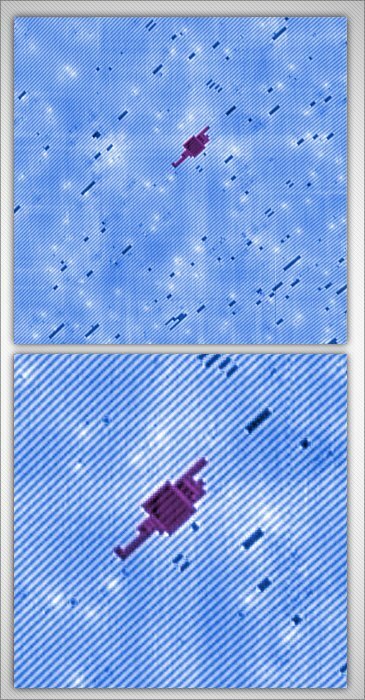 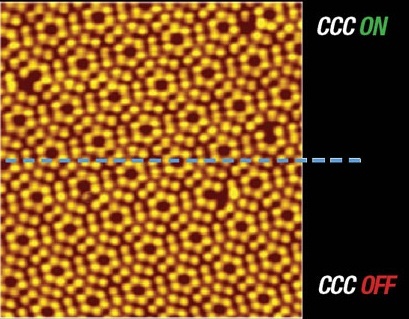 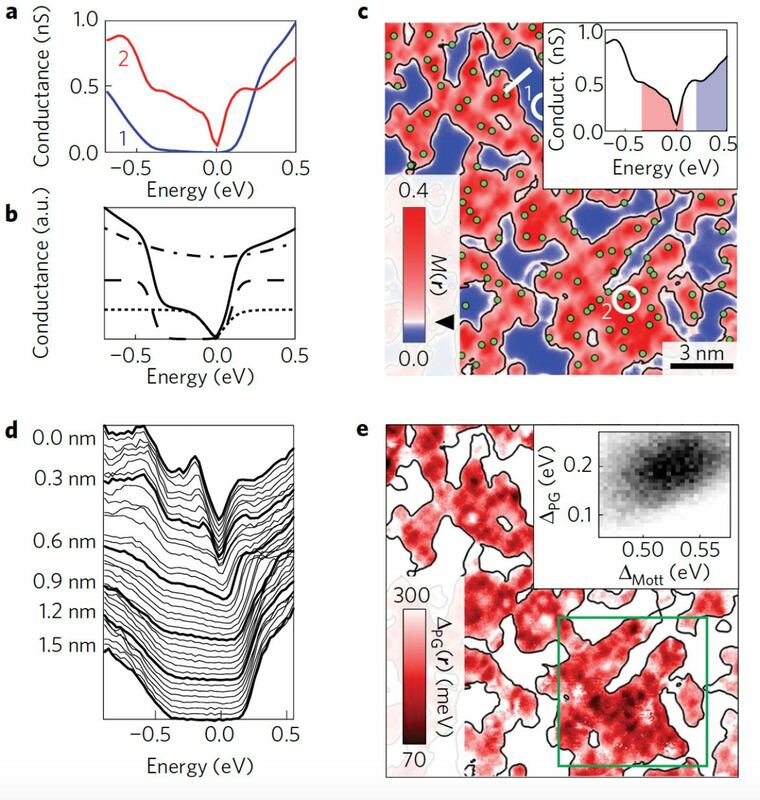 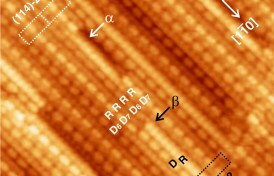 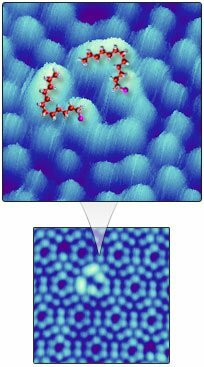 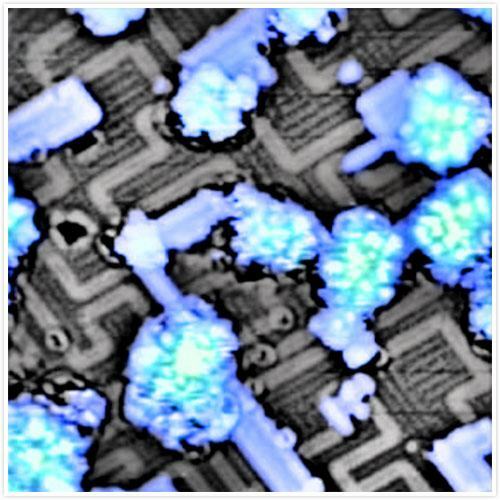 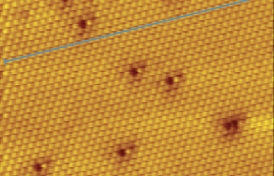 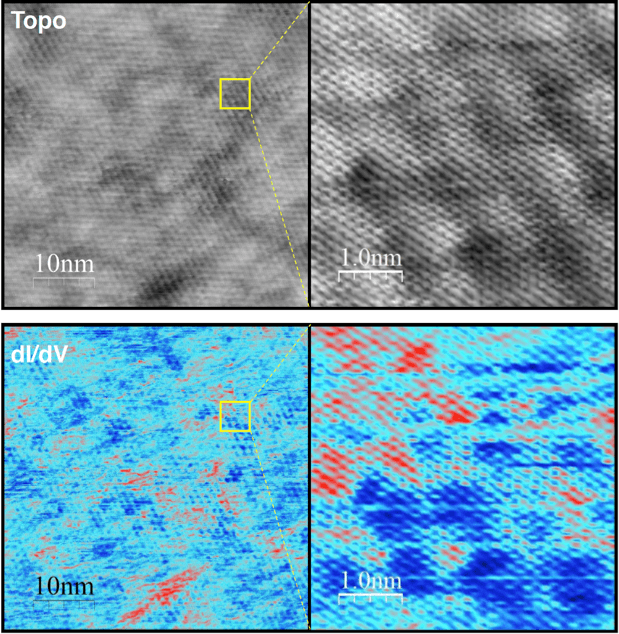 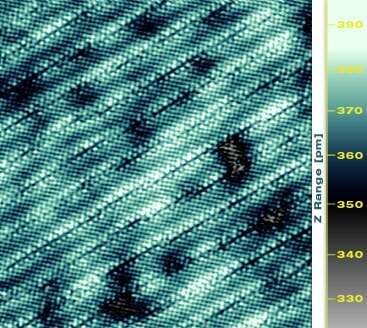 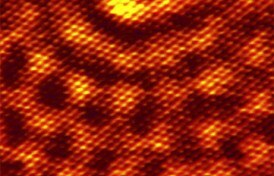 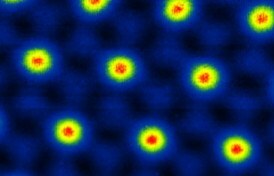 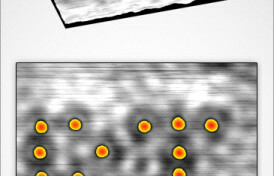 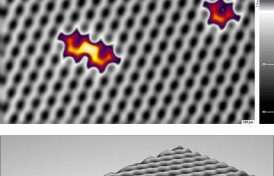 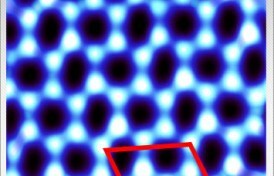 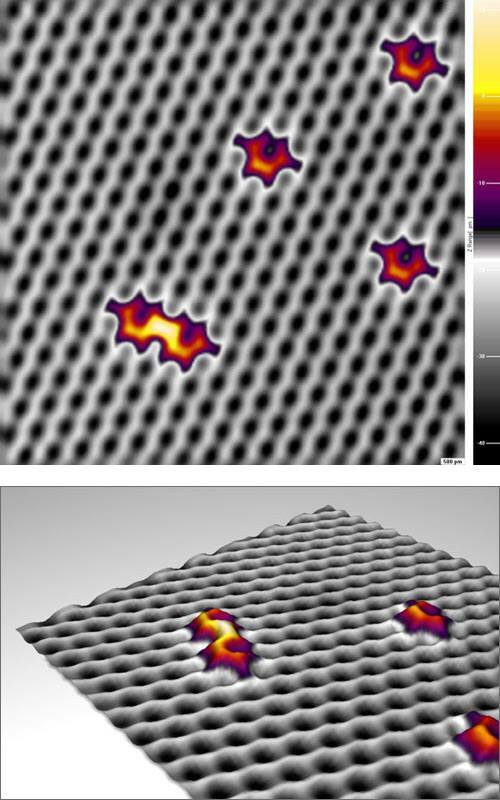 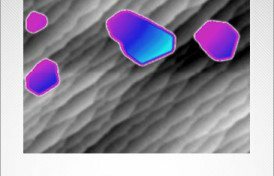 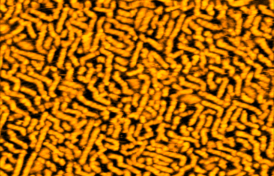 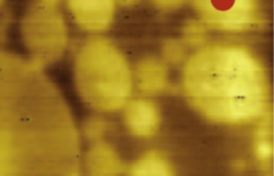 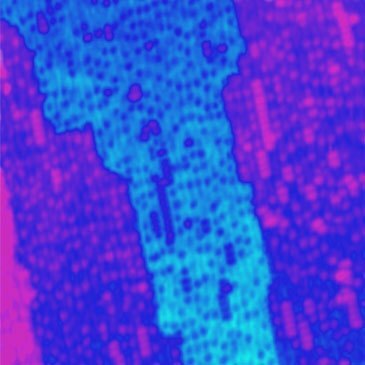 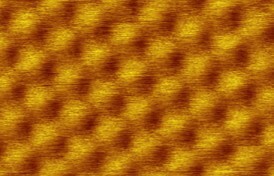 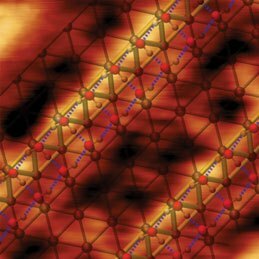 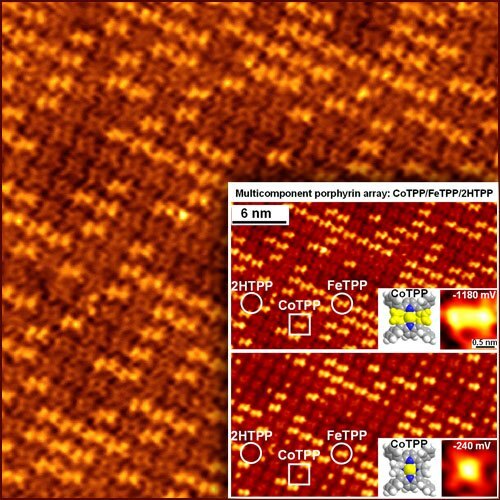 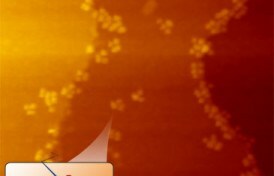 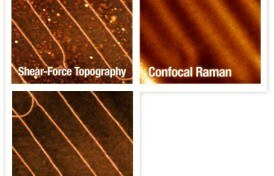 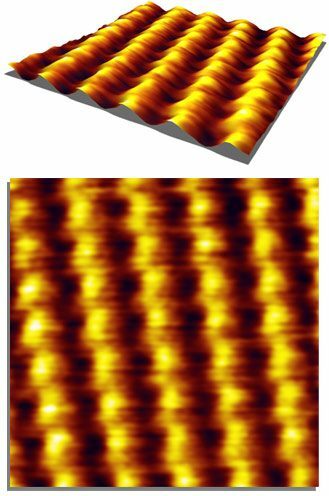 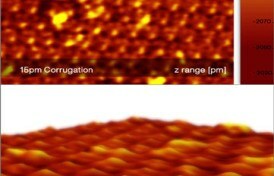 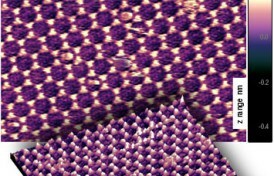 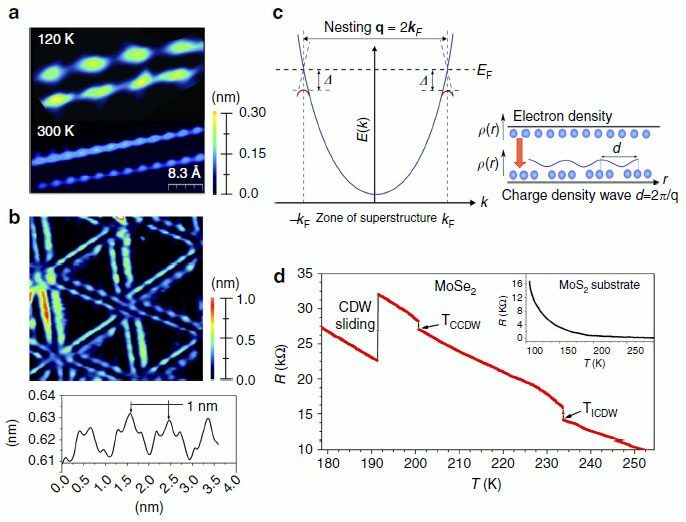 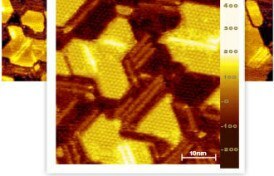 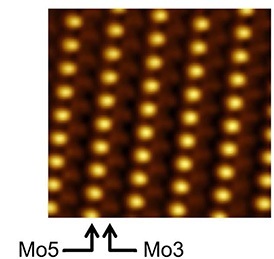 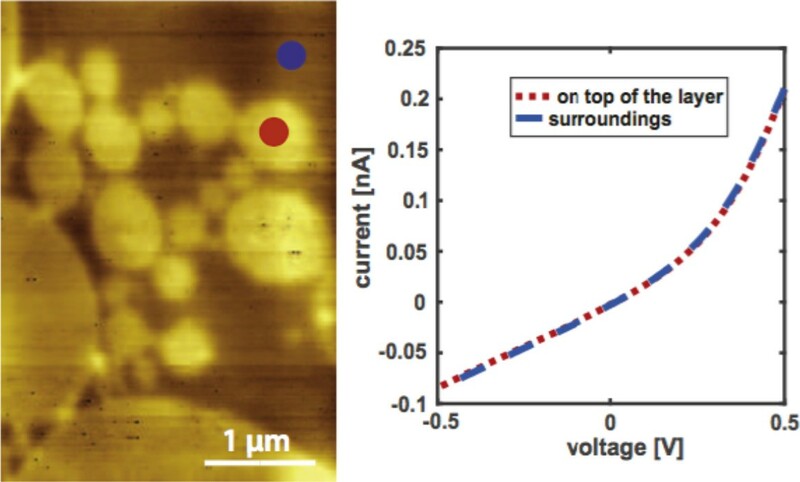 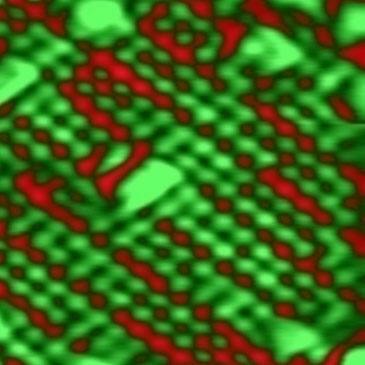 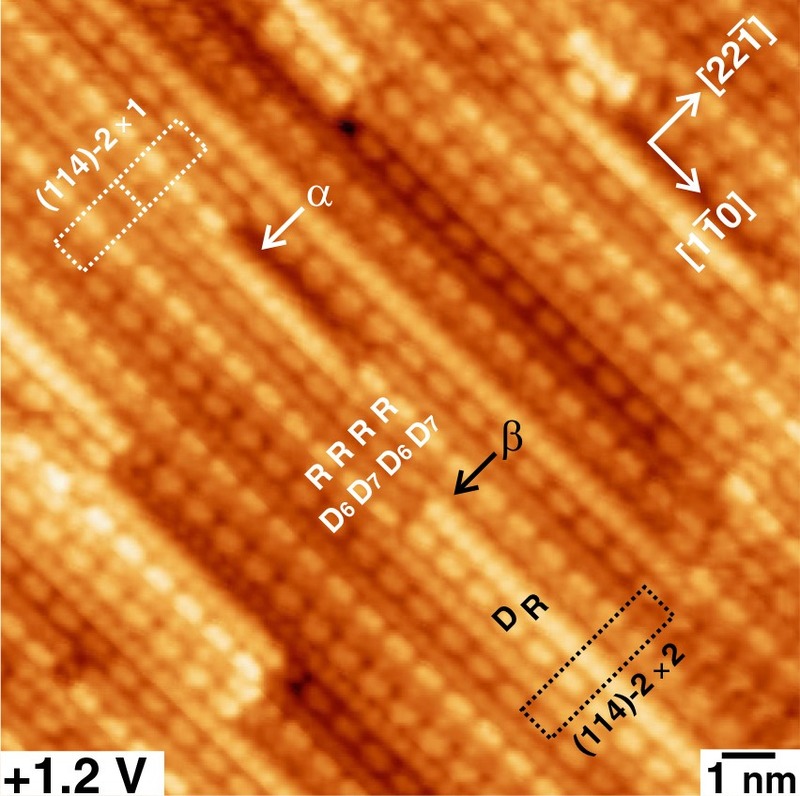 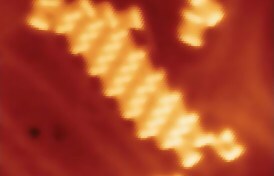 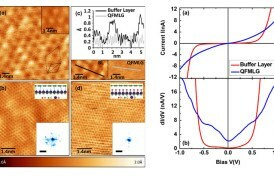 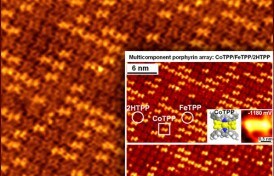 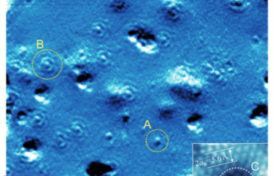 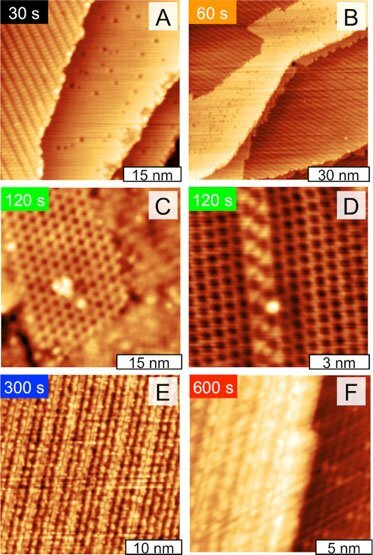 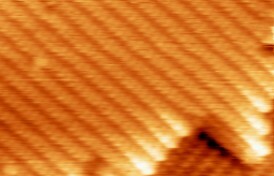 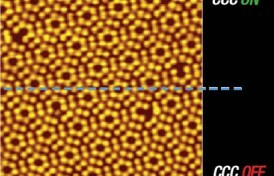 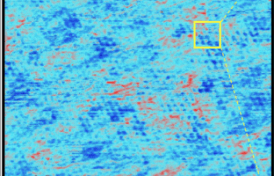 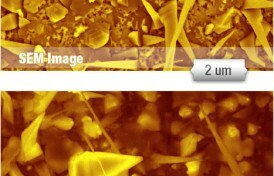 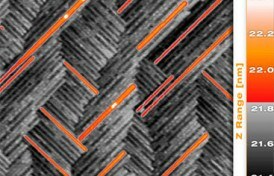 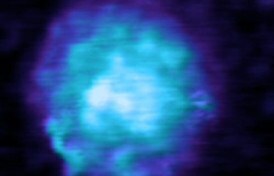 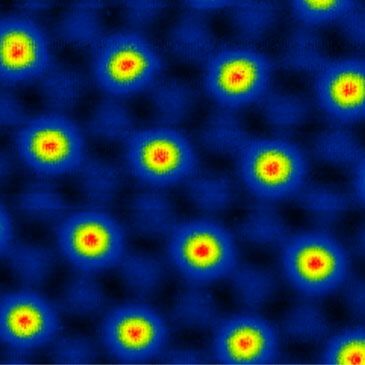 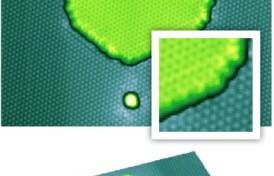 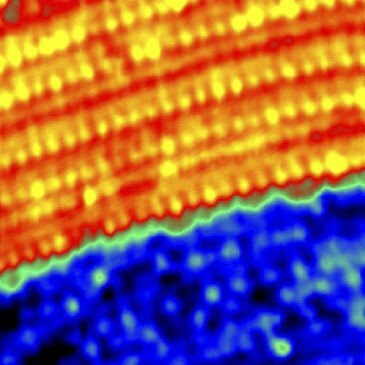 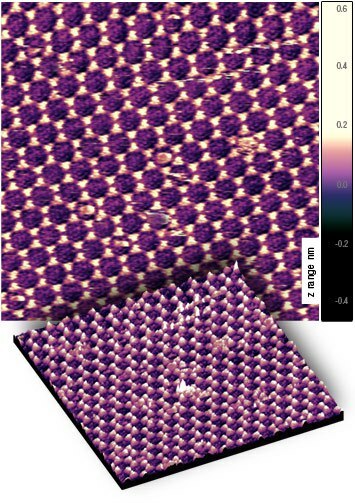 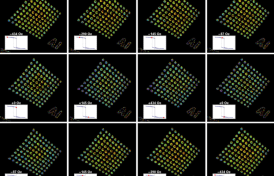 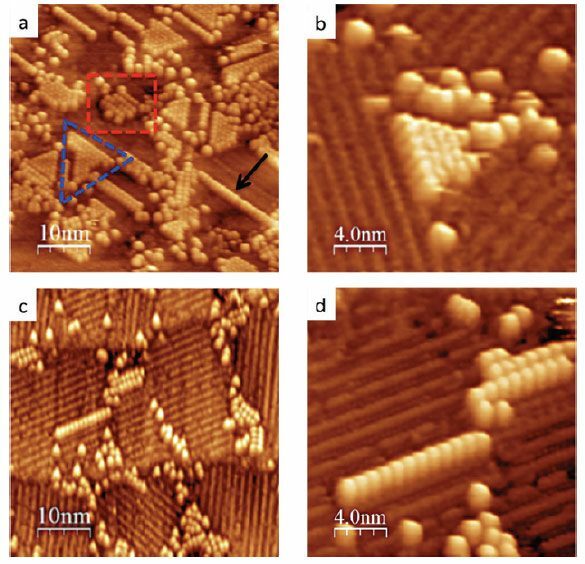 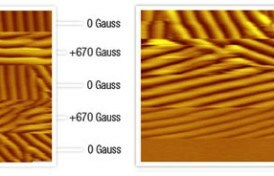 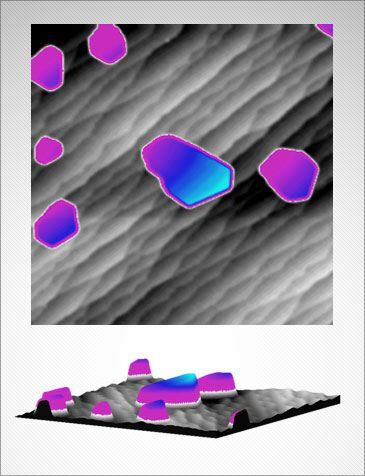 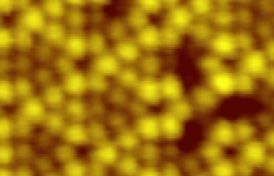 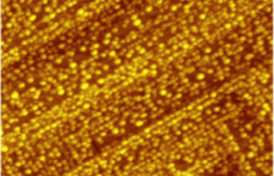 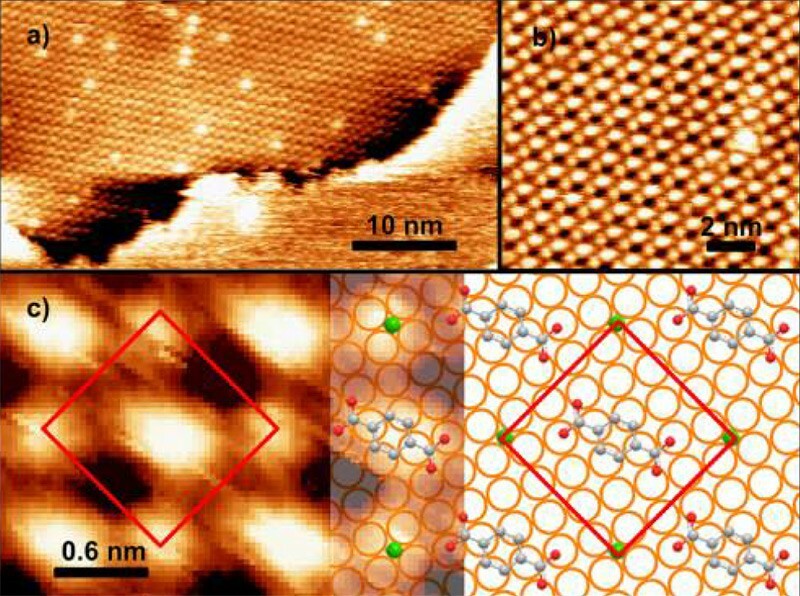 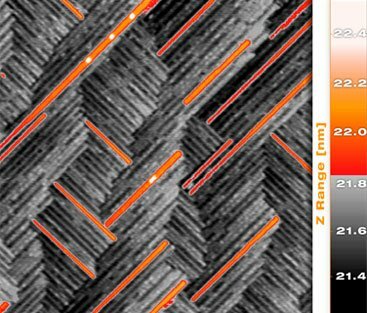 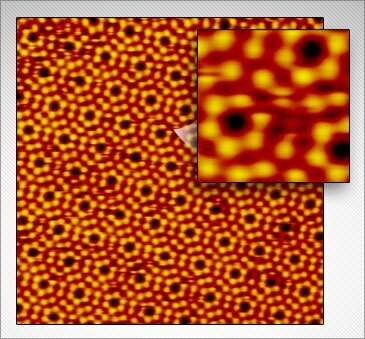 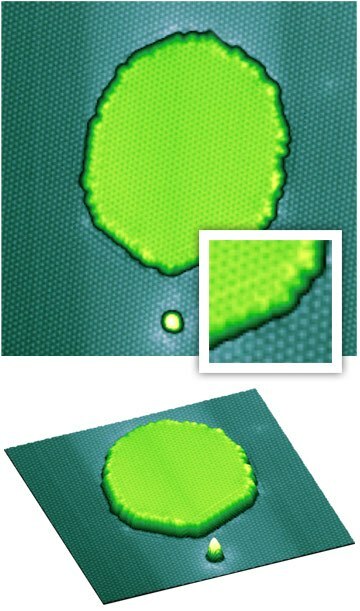 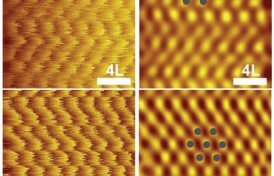 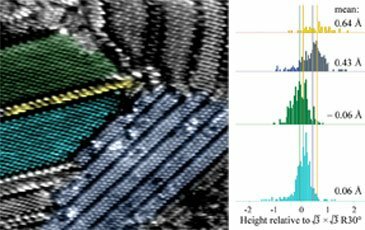 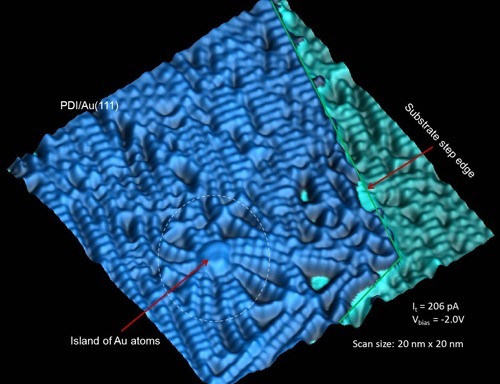 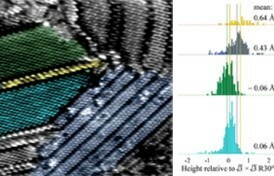 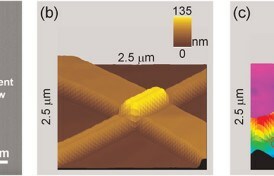 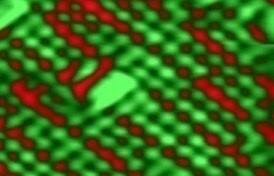 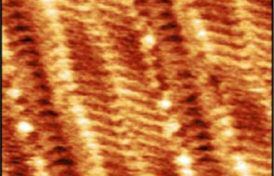 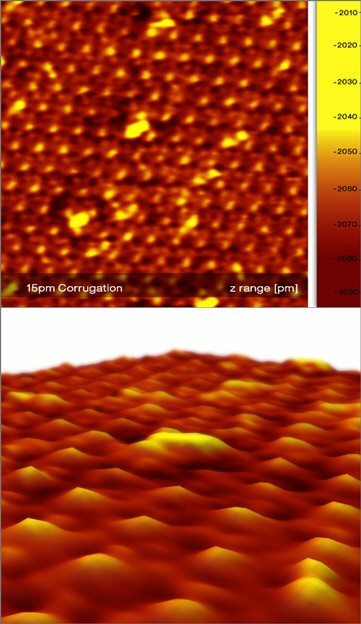 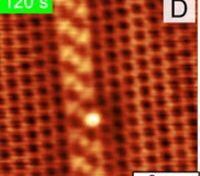 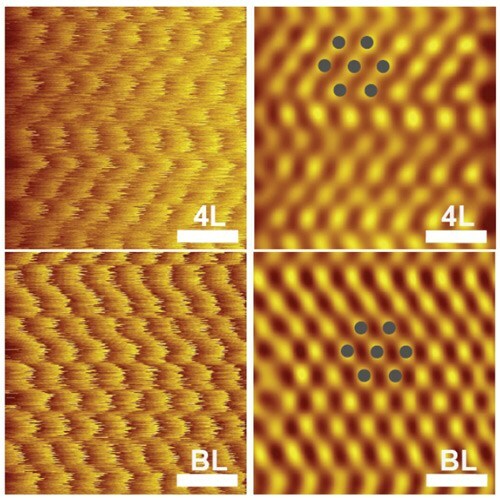 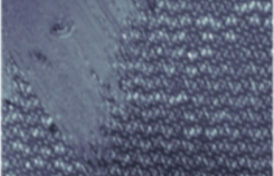 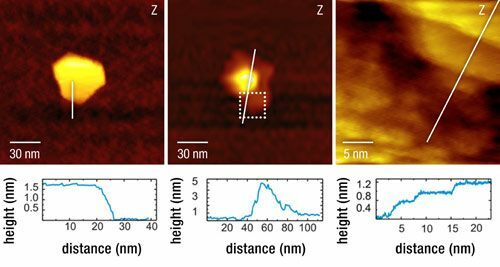 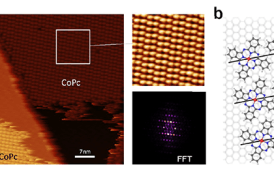 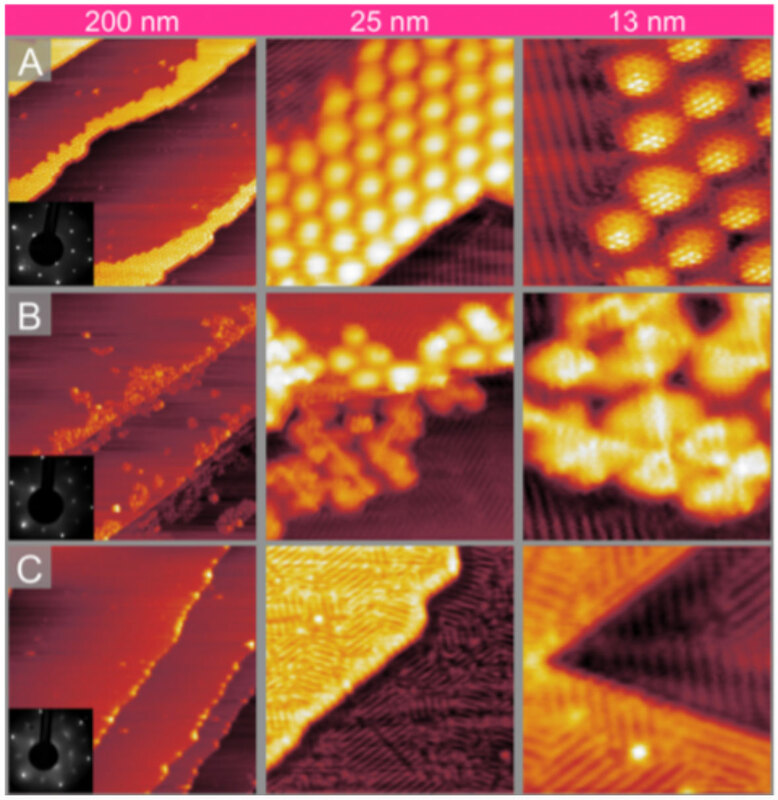 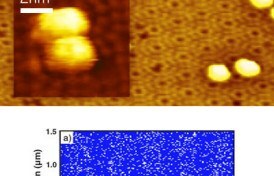 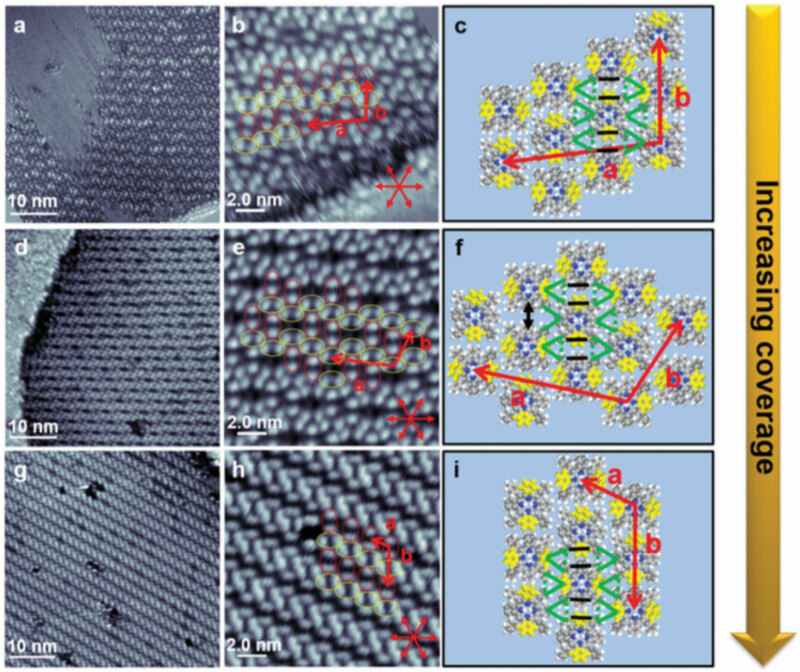 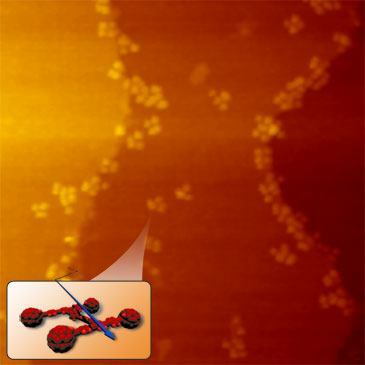 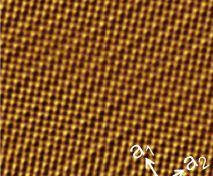 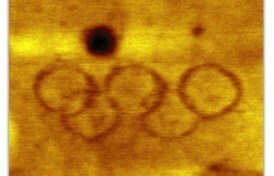 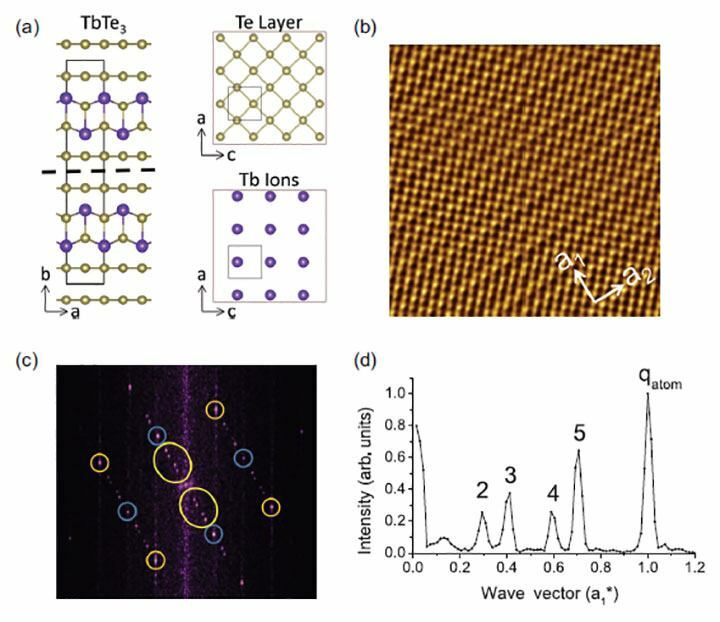 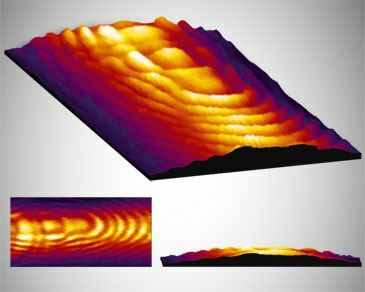 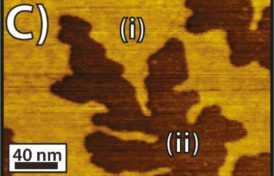 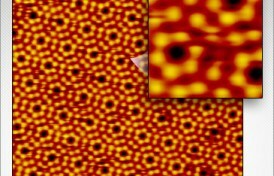 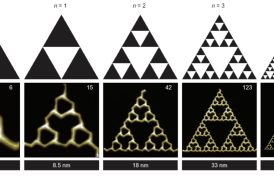 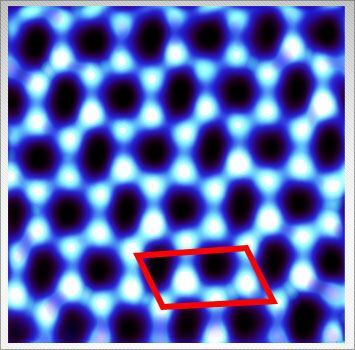 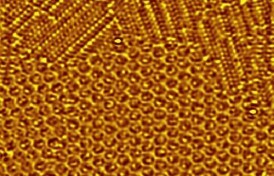 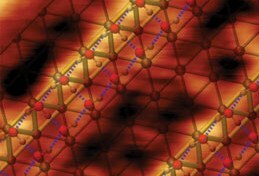 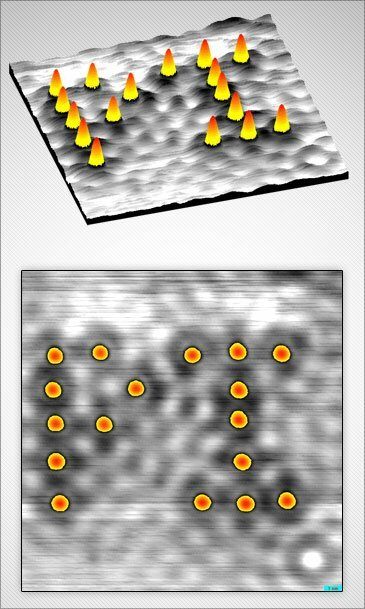 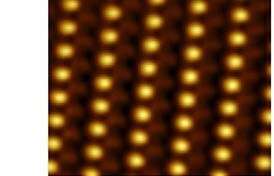 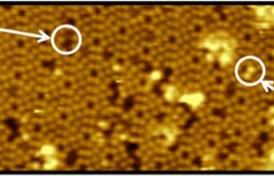 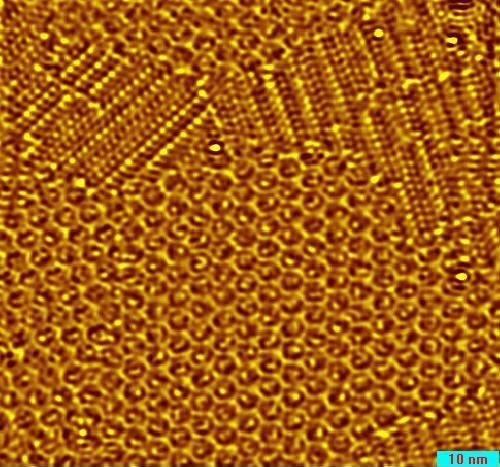 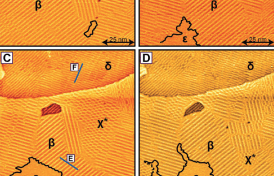 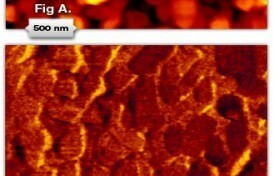 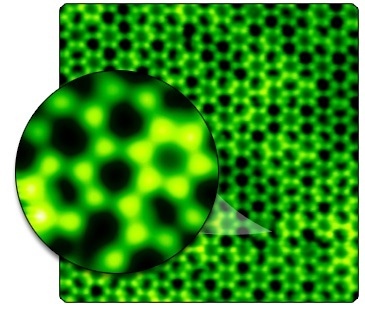 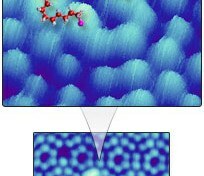 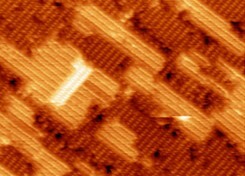 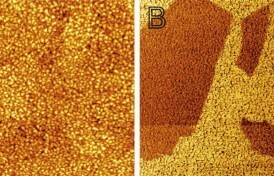 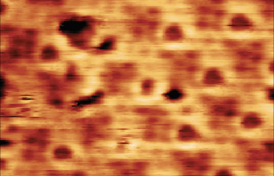 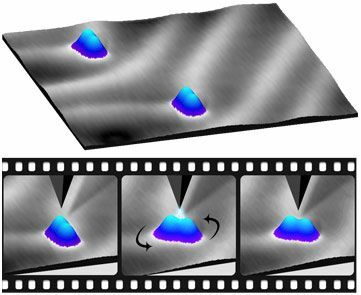 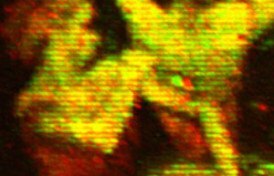 This first atomically resolved image acquired at 14K demonstrates a high-level of isolation from the vibration of the Closed-Cycle Cryostat. 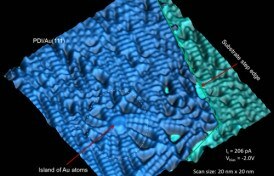 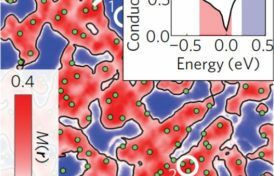 The goal of a helium-free STM has been an elusive dream for the many researchers unable to secure a steady supply of affordable liquid helium. 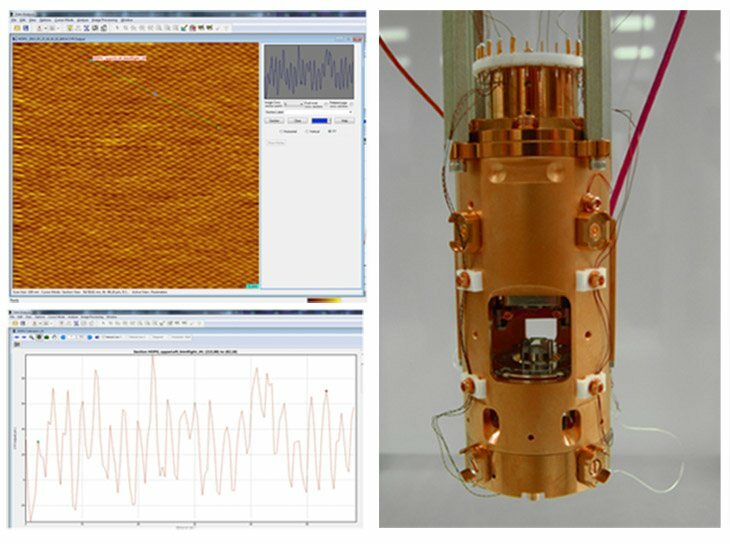 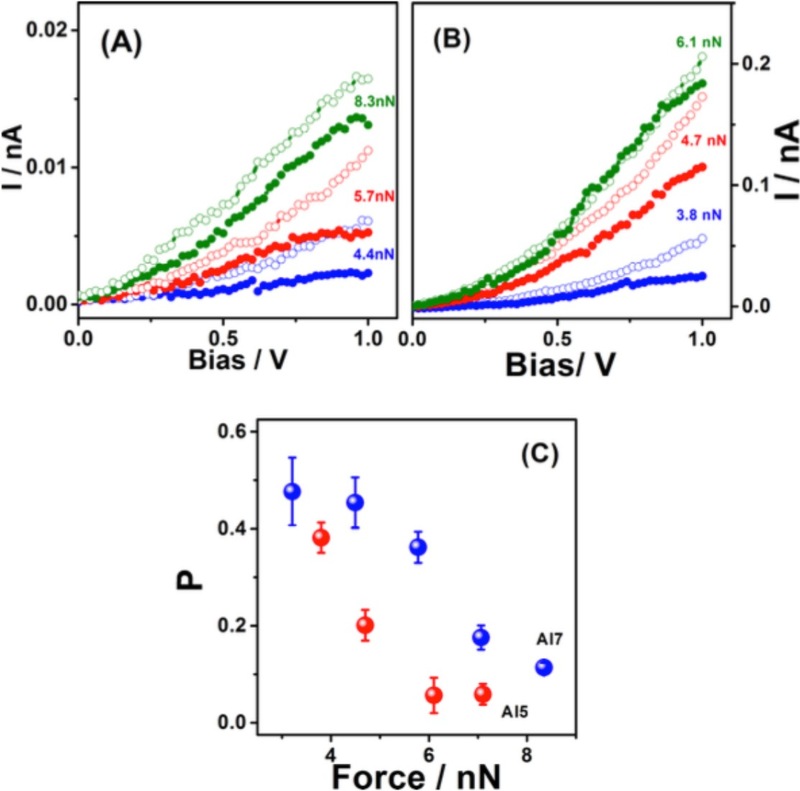 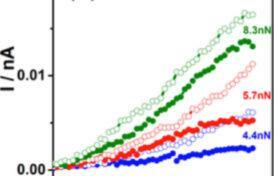 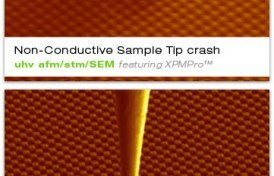 RHK’s new helium-free PanScan STM enables every researcher to run their SPM at cryogenic temperatures endlessly without the trouble and expense of liquid helium.